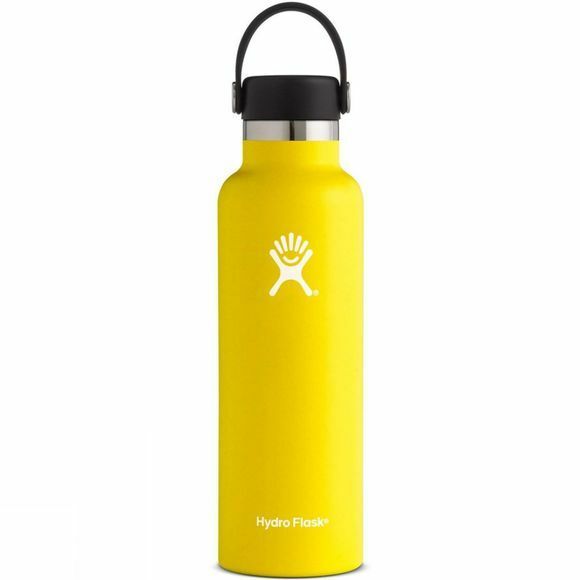 The Hydro Flask Standard Mouth 21oz with Flex Cap is one of the most versatile water bottles available. With a convenient capacity and a generous opening, it is great for sports drinks or thicker liquids, and can happily accomodate ice cubes. Whether it's for a hot cup of tea on a mountain side or a refreshing gulp of water mid work-out, this flask will have your hydration needs covered.